The step I fail at is "Defined 'api' as a module dependency for 'client';" - I'm not sure where I'm supposed to do this. The Project Structure window doesn't have a tab for dependencies when I'm working on a Web project - should I be looking somewhere else? Sorry, didn't realize that you have a non-java web project. I need to open the Client and API in separate IDEA instances. This isn't a huge problem, but I usually have up to 3 other IDEA instances open with related projects and I sometimes find myself running out of RAM. It would also just be a bit nicer to have everything in one window so, for example, I can search through Client & API files at the same time. I have to add new files to the library definition manually after creating them. If it's possible, I'd rather point the library definition to the 'src' directory in my API project, so that it automatically picks up any new files that I add. Do you mean that if I use "add a directory" it should watch that directory for future changes? I thought when I'd tried that it just acted like "add a file" on each file in the directory, but I may have been mistaken, I'll try again in a bit. I'll do that once I figure out how to reproduce it myself - it only seems to affect old files so it's hard for me to replicate at the moment. It's only a minor issue though. 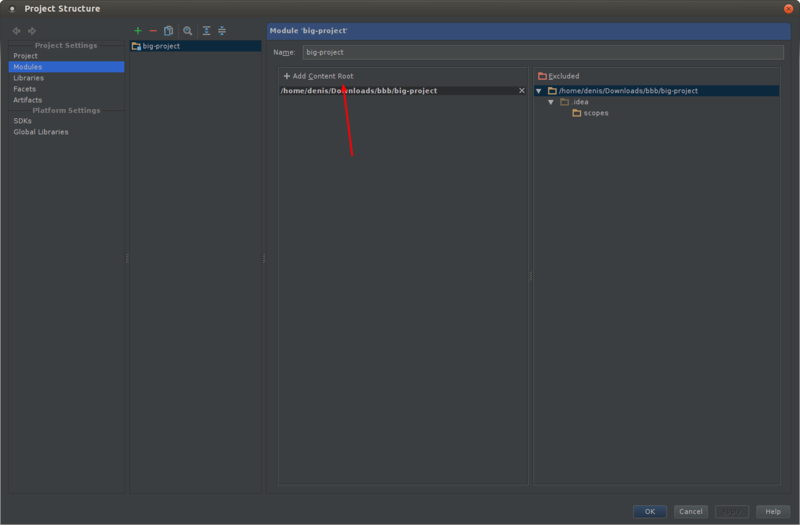 So, you use not WebStorm/PhpStorm but IntelliJ IDEA, right? That's correct. Most of my work is in JS, but I already have an IntelliJ IDEA license so I've been using it rather than buying a WebStorm license too. You can just use the module dependency facility then.